No, I'm not running for anything, but I am submitting some Advance Delegate Motions for consideration this summer in Framingham. Those of you who do not plan on attending the U.S. Open could pass along your views on these motions to those voting members from your state who are going to be there - that way they can adopt a representative position. I don't expect all of you to agree with me on all of my motions, but I think in each case the merits outweigh the objections by a substantial margin. 1) Moved: that all changes in the rating system be voted on by the delegates. Commentary: The rating system is the most important asset held by the USCF. Thus the integrity of the rating system is paramount. Any changes in the system should not be authorized by one man, or even by a few people. The delegates are the wisest and most representative group to make such decisions. 2) Moved: that rating floors be abolished. Commentary: Rating floors are a distortion of the rating system, and they cause many people to be inaccurately rated. When a player on his floor loses a game, points are added to his opponent's rating but not subtracted anywhere else. Thus there are more points in the system, and rating inflation. There are other ways to prevent sandbagging. The only way new points should be added to the system is by new players coming in. 3) Moved: that bonus points, feedback points, activity points, and all other types of "fiddle points" be abolished. Commentary: These gimmicks came in around 1980 when rating "deflation" reared its ugly head. For the first 30 years of the rating system, if rating deflation was present it was neither known nor cared about. Then it was discovered that players of relatively stable strength lost points over time, when their ratings should have stayed about the same. This is what is meant by rating deflation. Inflationary devices such as bonus points and feedback points were then introduced to protect such players. These "fiddle points" are very inflationary, and over correct for any real or imagined deflation. They distort and compromise the integrity of the rating system. Activity points would destroy the rating system. 4) Moved: that the annual rating list be restored to the December issue of Chess Life. Commentary: Many players have access to the rating lists at tournaments or clubs, but many don't. Remember, ratings are our most important asset, and should be displayed proudly. I'm for editorial independence as long as certain traditions are observed. One important tradition is the annual rating list in Chess Life. Commentary: This is another tradition that reduces the editor's work. The yearbook contains such things as the most recent state champions, winners of important tournaments, lists of various titleholders, and other data that are important to many people. The editor should not be allowed to omit it. 6) Moved: that life members be contacted to determine their viability and whether they wish to continue receiving Chess Life. Commentary: The USCF has about 10,000 life members, but it doesn't know who on the list has died. The magazines are not returned, and may be going into wastebaskets. The USCF could send life members a notice to contact the office before a given date, otherwise their Chess Life subscriptions would be suspended. This could be combined with a pitch for a contribution. Twenty-odd years ago George Cunningham solicited contributions from life members and raised $10,000. 7) Moved: that drug tests at chess tournaments be prohibited. Commentary: Drug tests are insulting and an invasion of privacy. Chess players should not have to pee in a cup just to play chess. Most of us know that drugs don't help with chess. If the IOC requires it for chess to become an Olympic sport, then we should pass this motion and tell the IOC where to stick it. 8) Moved: that US Chess Live be shut down until a server without spyware is found. 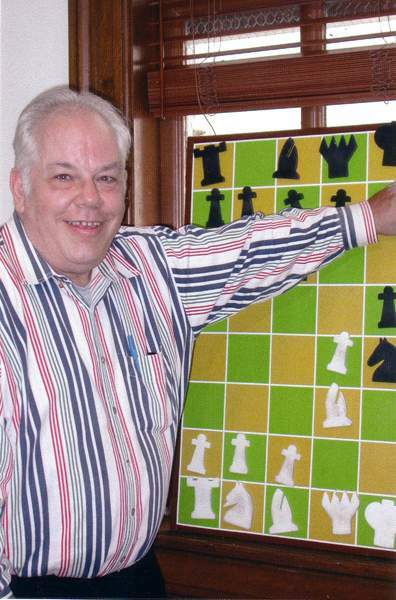 Commentary: If people using US Chess Live knew that their hard drives were being examined by commercial interests, we could have a class-action lawsuit on our hands. Most of us want the material on our hard drives to remain private, Conducent Software is spyware, and the players on US Chess Live are guinea pigs for capitalists. And there you have it. Maybe the candidates for the EB could further define themselves by taking a position on these motions. I'm sure the electorate would appreciate knowing how they stand.